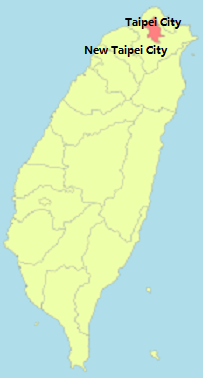 Taipei City the capital city of Taiwan, located on the northern tip basin of Taiwan, surrounded by New Taipei City. Has a population of about 2,702,315 perople in Dec. 2014， ranked 4th of 22 counties with a population density of 9,939 people per sq.km. 1) Beitou. 2) Daan. 3) Datong. 4) Nangang. 5) Neihu. 6) Shilin. 7) Songshan. 8) Wanhua. 9) Wenshan. 10) Xinyi. 11) Zhongshan. 12) Zhongzheng. 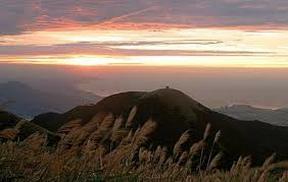 Yangmingshan National Park is one of the most popular national parks in Taiwan, Taipei. It features volcanic formations and fragrant blooming flowers during all four seasons it is one of the perfect places to get to the nature in Taipei City. One of the best choices for families, couples, friend and hikers to visit, there are many local having this perfect places as their morning exercise venue. If you happen to be in Taipei during February and March you may see cherry blossoms blooming and gardens of colourful flowers. Founded in 1738 by Han immigrants from Fujian. This temple is so special and it houses hundreds of statues of Buddhist, Taoist, and Confucian deities, is now one of the top religious sites, and a prime venue for exploring both Taiwan's vibrant folk faith and its unique temple arts and architecture. The temple is a traditional Chinese Si-He-Yuan building, is divided into front hall, main hall, rear hall, right wing and left wing. You will also notice the joining of wall and roof did not use any nails or braces made of metal. The temple has been declared a Secondary National Heritage Site. Dr. Sun Yat-sen the founder of modern China or founding father of Republic of China in 1911.Dr. Sun was born in 1865, and the memorial hall began construction in 1965 which was his 100 years birthday by then President Chiang Kai-shek and was officially open in 1972 as a tribute to the founding father. 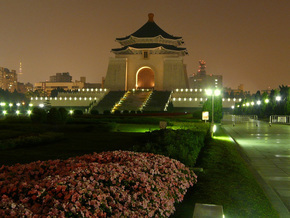 The memorial hall contains displays of Sun's accomplishments from the revolution during and after the fall of the Qing Dynasty, and today is a meeting ground for various social, educational, and cultural activities. Also there is a changing of guard ceremony on every hours and is interesting watch for visitor. This memorial hall was officially opened on 5th April 1980 in memory of Chiang Kai-shek, the first president of Republic of China. The hall is white with four sides, roof is blue and octagonal, a shape that picks up the symbolism of number eight, a number traditionally associated in Chinese with Abundance and good fortune. Entrance to the main hall is made via a series of steps, so when going up the steps count the numbers of steps and reaches the hall there are 5 more to add on, there you get Chiang's age at the time of his death (total should be 84+5=89). The monument surrounded by garden and sits east facing west, on the north the National Theater and south the National Concert Hall, together with the monument form a big square known as "liberty square" as of year 2007. If you miss the changing of guards in Sun Yat-sen memorial hall you still be able to find them here. This stunning museum is filled with the world's largest and rarest collection of traditional Chinese art crafts and historical documents, was officially open to public in 1965. The collection was originally founded within the walls of the Beijing Forbidden City in 1925 during the Qing Dynasty. Over 600,000 of these priceless treasures include ancient Chinese paintings, archeological remains of bronze weapons, ceramics, jade, sculptures, books and other antiques, were moved to Taiwan to prevent their desecration during and after the Chinese Civil War in 1949. 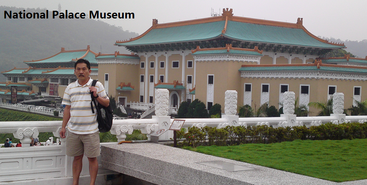 The National Palace Museum, reflects the rich cultural heritage of Chinese civilization and ancient Chinese culture, highly encouraged to pay a visit to this museum when you are in Taipei. Ximending district is filled with all kinds of shopping options, from departmental stores to shops and street stores, including hair salons, cinemas, Karaoke, clubs, pubs and theme restaurants and many others. You may say that this district is a talent and culture filled pedestrian district and it can never be too boring to be in this mixed culture district. Taipei 101, was officially classified as the world tallest (508 meters) building in 2004, and remained such until the opening of Burj Khalifa in Dubai in 2010. In 2011, the building was awarded the LEED platinum certification, the highest award of the Leadership in Energy and Environmental Design rating system, now became the tallest and largest green building in the world. Taipei 101 other than an indoor observation deck on 88th & 89th floor and outdoor observation deck on 91th floor, both offer 360 degree views. There are first five floors of shopping mall, with a basement food court and the rest of the floors are offices. Visit to the observation deck will give you another good view of Taipei, but make sure that the weather is fine that very day. Beitou is one of the largest concentrations of hot springs and spas in the world, is also a very nice to hand around and had become one of the tourist spot with it preserve of quite a numbers of old Japanese's building. In this area there are hot spring museum, Beitou library which is surrounded by gardens, thermal valley, public hot spring spa, many of the privately run spa around the area too, of course there are restaurants to settle your meal problem, it will be a very pleasant walk uphill along this hot spring area during winter time. ﻿To get of the metropolitan city but do not like to travel too far away, Maokong Gondola is one of another nice place to be and also is another place other than Taipei 101 to have a bird's eye view of Taipei. Maokong is a mountainous area with lots of real pretty tea plantations, tea house or shop and restaurants for you to enjoy fine tea and the taste of delicious meal which provide stunning views while having your tea or meal, you may also experience the Gondola (Cable Car) and view Taipei at a difference angle. The shrine was built in 1969 to commemorate soldiers who sacrificed their lives for their country during the War of Resistance against Japan and the civil war. The Martyrs' Shrine is a solemn tourist spot that features traditional Chinese architectures and noble events. Now the major attraction at the shrine is the hourly ceremony for the changing of the honor guard in front of the main gate. Shilin Official Resident or Chiang Kai-shek Residence is the first ecological garden of Taipei City, and was designated as a city cultural heritage site on July 2000, later on May 2005 was raised to the level of national cultural heritage site. This two stories mansion is accompanied by its elaborate Chinese and Western style gardens, including Shilin Garde Zone, garden Display gallery, European Garden, Oriental Court, Choral Hall and Victoria Chapel were once part of the official residence of former R.O.C. President Chiang Kai-shek and his wife Soong Mei-ling. Taipei Night Markets is one of the most exciting street food scenes in the world and is for sure a must see and good experience itinerary that is not to be missed. Mostly open in the evening and offer a variety of fresh Taiwanese snacks, clothing, accessories and fund carnival games. Some markets are busy city streets during the day and transform to bustling markets in the evening, others are established locations that are closed during the day but open in the evening, it usually start up at dusk and continue until about midnight.